As a manufacturer of lighting products for the automobile industry with over six decades of experience under its belt, JOKON has a very strong customer base here, at Leisureshopdirect. Its products have a wide array of applications, and its impressive bulb and LED lighting line has become a leisure market favourite. So, countless caravan and motorhome models are fitted with JOKON lights. The company owes its name to its founders, Johann and Konen. Established in Germany in the wake of the Second World War, JOKON initially produced a variety of automobile accessories. But it quickly specialized in lights and reflectors, and within a decade, had its own production line. The payroll quickly outgrew the massive manufacturing plant in Bonn. So, in 1987, JOKON came to Poole, UK, where the British branch is based to this day. Then came a facility in France, giving JOKON a privileged position as a company based in the three most powerful European countries. With sales partners and distributors across Europe, Australia, and the USA, JOKON now provides vehicle lights, both standard and bespoke, cables, plugs, sockets, reflex reflectors, signal devices, bulbs, and lighting accessories across the world. 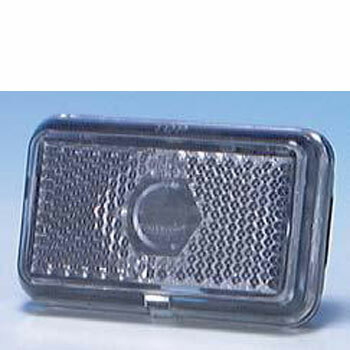 Some of the most popular JOKON products at Leisureshopdirect are side marker indicator lenses, front marker lamps, number plate lights, fog lights, reversing lights, stop lights, and awning lights. For tourers, the appeal of JOKON lights lies in their clever and modern design. But it's not just the innovative character of these products that makes JOKON lights so popular. These high-quality products come with flawless functionality and superior features. So, they provide optimum levels of safety in heavy traffic. What's more, are very easy to fit. Aside from a very small selection of lamps that are screwed in, such as the 100mm JOKON front marker lamp or the JOKON LED side marker with reflex reflector, these lights are fitted using plastic tabs. This makes removing a lens as easy as pulling a tab. As for mounting pads, these are just as easy to replace by gently prizing them out and resealing them. The sheer diversity of JOKON products is also impressive. We have tens of models of rear lights alone at Leisureshop­direct, including marker lights, stop lights, position lights, reversing lights, and fog lights. We also stock wrap lights, cluster lights, combination lights, and multiple function lights. Choose between the sought-after JOKON rear lights with straight or angled connectors for your caravan. Select near side or off-side rear cluster-chrome lights with built-in reversing lights to enhance your motorhome's safety. 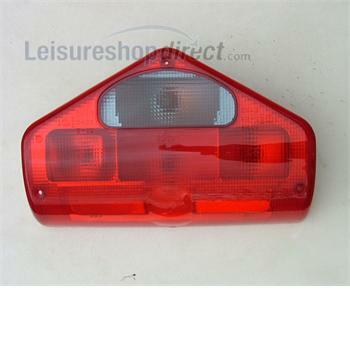 Likewise, we stock RH and LH rear cluster lights for caravans and JOKON rear cluster light for trailers. JOKON has been a reliable and flexible innovator for many decades, with manufacturers of nearly every type of vehicle - from caravans to trains - turning to this company for design, development, and spare parts supply. As new electrically powered vehicles are emerging, including recreational ones, JOKON continues to push the boundaries. Browse this season's selection of JOKON lights for the latest products available to the leisure market. Truly an international company, with three state-of-the-art facilities across Europe and hundreds of distributors from the four corners of the world, JOKON uses cutting-edge CAD technology to develop products according to the needs of today's holiday makers. Complete customer satisfaction is at the core of their activity, and that's also our mantra here, at Leisureshopdirect. So, rest assured that their prowess in manufacturing lighting products will never fade, and that you'll be able to come back to us time and again for your JOKON lights, lenses, and other spares. Browse our online catalogue right now for the JOKON rear lights, front lights, or side lights you need to make your caravan, motorhome, or trailer stand out and travel in safety.